Felix and me celebrated my 26th birthday in Paris. Absolutely loved it! Never expected to find so many mouthwatering concepts. 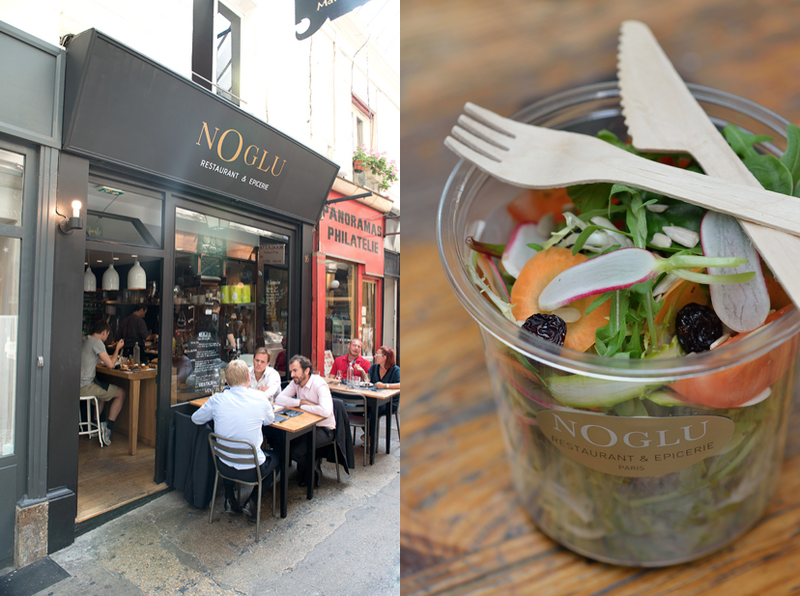 Where to eat healthy in Paris. One of my french besties, Olivia, recommended this place. And whenever Olivia gives a tip, I can bet a thousand green juices that it’s beautiful, foodgasmic ánd en vogue. 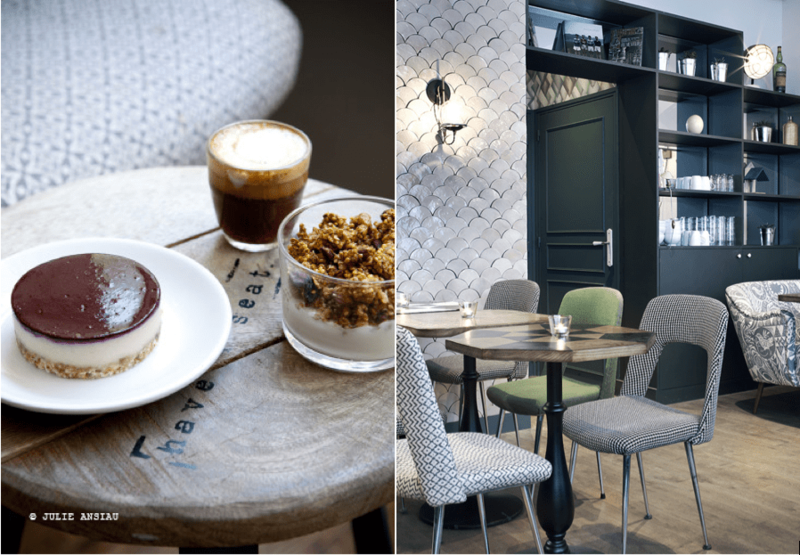 Café Pinson was founded by two passionate Parisians in their 30s: Agathe and Damien. The cuisine is Healthy / Vegetarian / Vegan friendly / 100% Organic / Wheat-free / Dairy-free / Home-made / Seasonal / Fresh. It was Paris Fashion Week, and thus packed with healthy and radiant powerwomen from the industry. 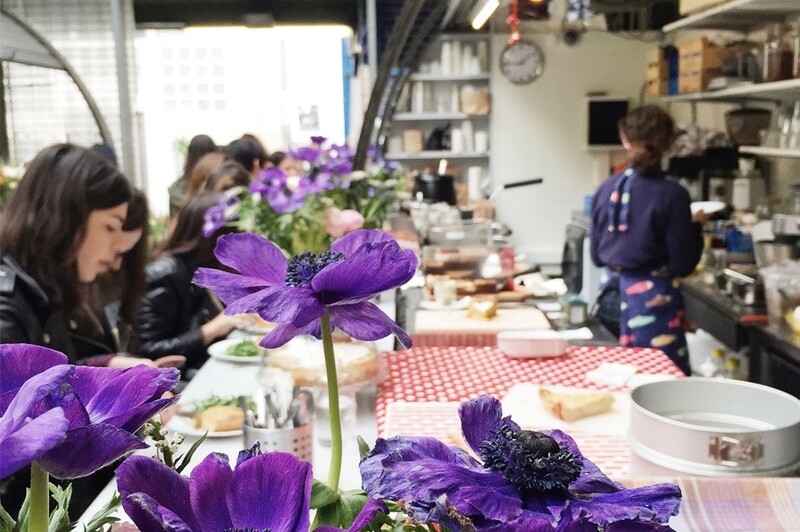 Café Pinson is a juice bar, a café, a restaurant offering healthy organic food, vegan cakes, raw bites and colourful salads. Everything is delicious, the staff is kind & friendly, and the decor enchanting. I wanted to go everyday during our stay. The name says it all. Restaurant and Epicerie Sans Gluten. No Glu offers people a serious taste sensation with its stellar meals, breads, pastries and cakes, for people that are gluten and lactose intolerant. There are two locations across each other in a passage. Their concept will soon open in New York City as well. I was in heaven. It was my birthday, and there were sweet pastries. I got a slice chocolate banana bread and we also took a tiny bread roll that stared at us from the counter. I ended up liking the tiny bread roll more than the cake, but it was delicious nonetheless. We biked back to the Tuileries and had a picknick at sunset. Awww. Le Marché des Enfants Rouges in the Marais is an awesome place for lunch. This market is a melting pot with permanent food trailers with cultures from all over the world. Here you can find everything from Caribic kitchen, Italian cuisine, Lebanese specialities, Japanese bento and French Wine Bars. But one place stood out for me: Le Stand. Directly on your right from the main entrance to the market, you’ll find Le Stand. 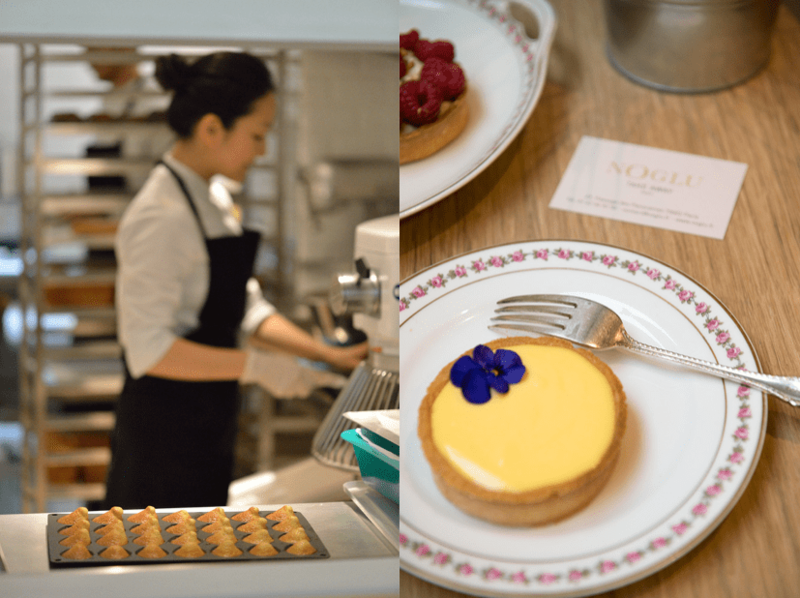 They do gourmet veggie cuisine with gluten-free, vegetarian and vegan meals and treats. Great aesthetics too – almost like an airstream travel trailer! And fresh, beautiful and pure ingredients. Delicious! Best Glutenfree Bakery! This was a perfect hide-out from the rain. On a cold afternoon, we ordered hot tea and a piece of the athlete-bread.. Amazing! Try the chocolate brownies too. They are divine. Do you have a must-visit place to add for our wanderlusting hearts? 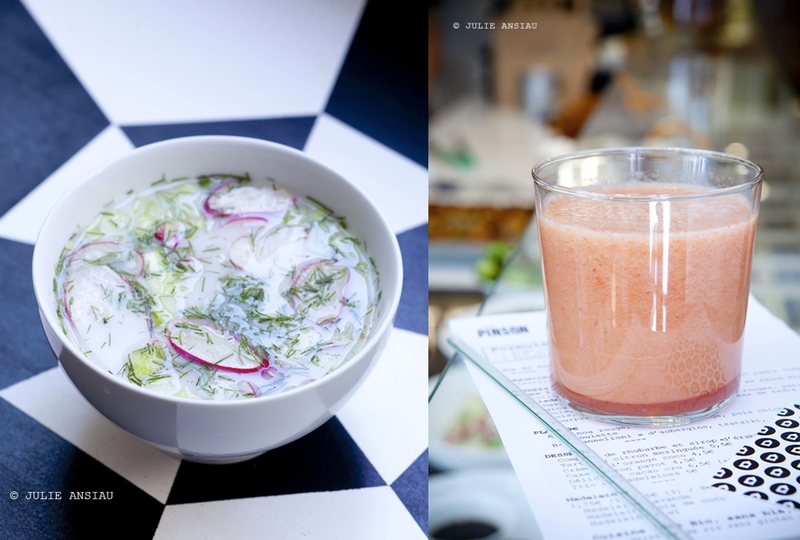 A secret insider tip to where to eat healthy in Paris for the tribe? We’d love to grow this list, so please leave your comment in the section below, thank you so much!